A Average percentage of clients who said SIRVA mortgage “exceeded or met expectations” in Customer Satisfaction Surveys since 2008. B SIRVA Mortgage was ranked #1 in overall client satisfaction and the highest performing service provider in the competitiveness category among national mortgage competitors with a large statistical sampling in the 2015 Annual Trippel & Research Survey, LLC. Our agent network is hand-selected to serve Fortune® 500 executives. No additional fees. To be part of our program, agents agree to never charge any additional fees to our clients. We work as your advocate and if you ever have any issues you can change agents at any time for any reason. No questions asked. Educational information and tools to help you through the moving process. Earn 5,000 miles for an interstate move with Allied or North American Van Lines. 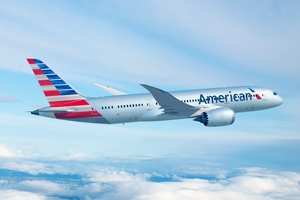 Earn up to 100,000 or more award miles! View our AAdvantage® miles awards page to see how much you can earn when using our mortgage, real estate, and moving services.